We’ve all been eagerly awaiting the opening of Baton Rouge’s new food hall, White Star Market, since it was first announced in 2016, but we’ve still got another month or two to go. The latest updates project an April or May opening for the Mid City food hall. The parking lot for the development, Square 46, is partially poured, with tenants ready to start moving in once it’s completed. But if you’re jonesing for a taste of White Star, there are ways to get your fix early. Take Jay Ducote, who’s been hosting pop-ups of his taco concept, Gov’t Taco, at Iverstine Butcher. “We were looking for a way to work on taco ideas, to keep perfecting our tacos and to keep our brand and our name out there,” Ducote says. Every Tuesday for lunch this month, Ducote has dished out original taco creations like the Seoul-cial Justice (a Korean-themed taco made with pork belly and kimchi) and the Philly-buster (a Philly cheesesteak-inpsired taco made with Iverstine brisket and queso). While the main Gov’t Taco menu is set and ready for the White Star opening, these experimental tacos will become off-menu specials or even eventually part of the permanent menu as it expands. 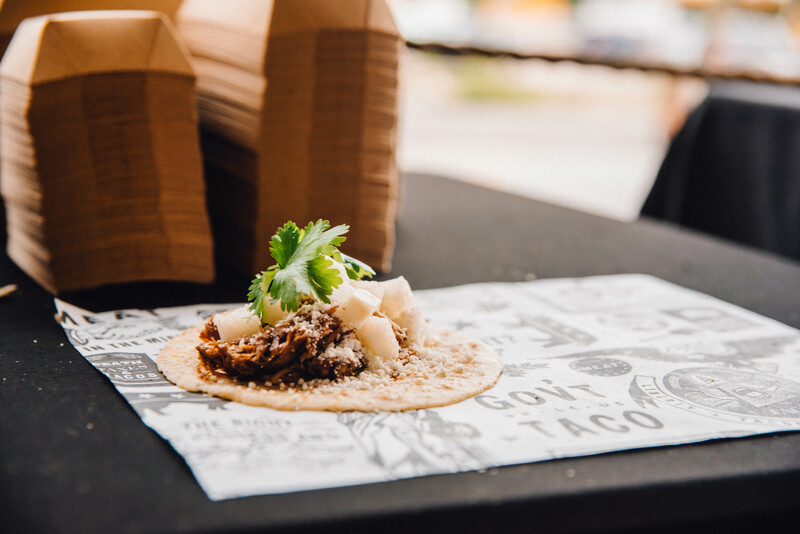 So far, the turnout for Ducote’s taco Tuesdays has grown each week, and he plans to keep up the weekly pop-up until White Star’s opening. Catch it at Iverstine Butcher at 4765 Perkins Road Tuesdays, 11 a.m.-1 p.m. Follow Gov’t Taco’s Instagram for menu previews. Follow them on social media for the latest on pop-ups—the team just hosted their first at Magpie Cafe in early March featuring a spicy crawfish ramen. Popping up regularly with its mobile pizza oven, so keep an eye on social media. Be sure to try the Dat’z a Godfather pizza, loaded with Italian sausage and meatballs. The oysters are always fresh at Jolie Pearl‘s flagship location downtown, with plenty of East Coast and West Coast varieties to sample as well. The New Orleans-based food truck is always on the move, but you can also stop by its booth at St. Roch Market to sample favorites like its Trash Grits or Cajun Cubano. Get your brew at one of several Lafayette locations or buy a bag. Rêve is known for its in-house roasted coffee, nitrogen-infused iced coffee, probiotic sodas and more. Visit one of several Baton Rouge locations to get your juice fix. Some of our favorites are the 24 Karrots and the Root Awakening (it will convert any beet hater out there). NOTE: Michael Mangham’s Southern Plate and Mouton will also join the above vendors in White Star but have not yet hosted opportunities to sample their offerings. © 2019 225 Magazine. All Rights Reserved.